Home for the Holidays is Coastal Humane Society‘s and Lincoln County Animal Shelter’s annual year-end adoption campaign. It kicks off on December 16 with a HUGE adoption event at both of our locations, on Range Road in Brunswick and at Lincoln County Animal Shelter, our sister shelter, in Edgecomb. 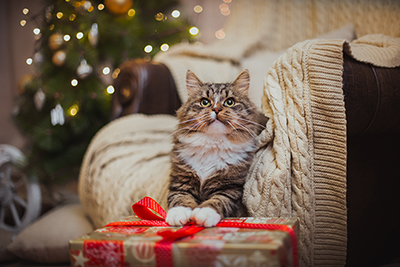 We will go through a thorough adoption counseling process with those who would like to adopt, and its important to keep in mind that this program is only for adoptions within your family, so the person who adopts the animal for a Christmas delivery must be one of the primary caretakers of the animal. Get a sneak peek of the animals going up for adoption the week before the event on our Facebook page, Facebook.com/coastalhumanesociety. Questions? Call us at 725-5051 (CHS) or at 882-9677 (LCAS).